One of the hallmarks of living a frugal life is the ability to find alternative uses for things that you commonly use. Reusing or finding a different use for something usually means that you don’t have to buy another item to take care of your need. We reuse things in our home as much as we possibly can and as a result, it saves me quite a bit of money. I love to find ways to upcycle towels, we find ways to upcycle sheets, I love finding ways to upcycle milk jugs and more. In fact, I have a list of over 52 items that can be reused to save money on top of the other items I just named. I love saving money. We should all know that. 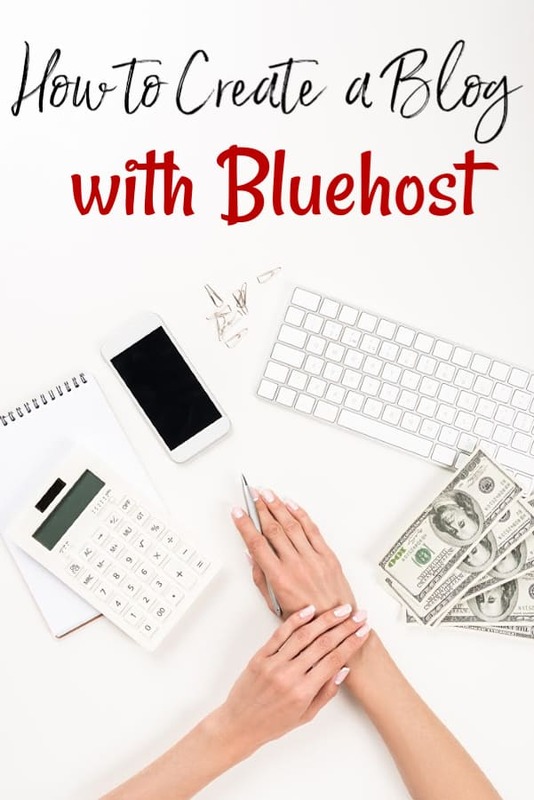 I take the time to earn $225/mo minimum in extra income each month, I make over 60 items at home instead of buying them, and I track my family budget more than the NSA tracked phone calls. In other words, if I can use something in a new way? I totally will. Kitty litter is one of those items that has multiple uses. Obviously you do not want to use used kitty litter. That’s bad juju and just asking for trouble. 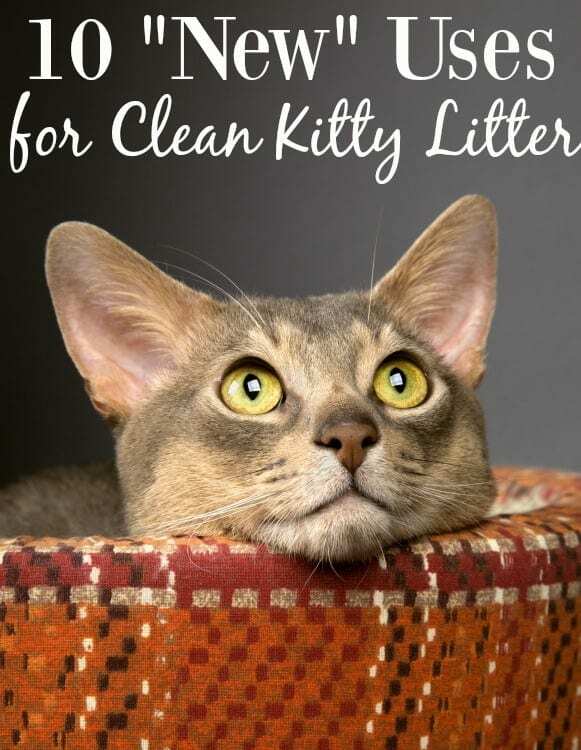 Clean litter though has plenty of uses outside of the litter box and they’re all great uses that you may not have already thought about. If kitty litter isn’t something that you normally buy, I wouldn’t go out and buy a lot to begin with. Instead, watch for coupons that you can use, both insert and printable coupons, to help you save before you stock up. That way you aren’t spending a ton of money outright and instead are making smarter purchases by waiting for the deal. Since you don’t need the litter right this second, you can afford to wait for the deal. Rock salt can be expensive, but if you live in an area that gets snow and ice during the winter, you’ll need something to help keep your sidewalk safe for people to walk on. Instead of expensive rock salts, use kitty litter to help break up snow and ice and create a safe walking path for your front walk way and the steps to your home. Just sprinkle liberally onto the sidewalk as the ice is falling (yes during the storm) as well as after the weather clears a bit. Another issue that is often caused by snow and ice is a stuck car. Muddy areas are bad for this too. To help yourself just in case you get stuck somewhere, keep a bag of cat litter in your car’s truck or your vehicle emergency kit. When or if you get stuck, spread the kitty litter evenly under your tires to help create traction for your tires to grab onto. Throwing old paint in the trash can be harmful to the environment if you just toss it out and it spills. Cat litter can help you safely dispose of it safely though. Pour cat litter into the old paint and stir it in then let it harden. Once it hardens it is safer to toss as normal. If you have a child with sensory issues or know of someone who does, cat litter comes in handy at making sensory socks. Simply fill a tube sock with cat litter, sprinkle essential oils like lavender, chamomile, or mint and tie off the end. You may not even think how much grease drips onto the bottom of your grill over time, but if you don’t clean it out, the answer is quite a bit. Since excess grease is a huge risk, you’ll want to keep the grease cleaned up. Cat litter can help you do that. Put a layer of cat litter on the bottom of the grill to absorb the excess grease. Once it has absorbed it all, dump it or scoop it out then rinse the bottom of the grill out. Long winter months can cause your home to feel stale and musty and if you have anything stored in the attic? Those items will eventually get that way too. To help prevent or deal with those musty odors, keep bowls of cat litter around. If you want to put out a specific scent, add a few drops of your favorite essential oil then stir. If you are a smoker who smokes indoors, cat litter can help with that smoke smell in your house. Put a little cat litter in the bottom of your ash tray to soak up and absorb the smoke. This will keep your house fresh longer. If you smoke outdoors, you can add kitty litter to the bottom of where ever you put your cigarette butts. It will help put them out so that the risk of fire is lessened. If you have a leaky basement, you sprinkle cat litter around the floor to absorb some, if not all, of the water that is leaking in. This will help with mildew and odor. You can also fill a bucket with cat litter and place it under leaky faucets or ceilings. Because cat litter has absorbing properties, you can use it to help your garden thrive. Mix an equal amount of litter and soil when you plant your garden. The cat litter will help keep the soil moist which will provide needed water for your plants a bit better than soil alone. This works especially well if you use a homemade organic fertilizer with it. If you buy a used (or even sometimes a new) fridge, there is usually an old musky smell that comes with it. This can even happen to your fridge while it’s being used daily. Leaving a small container of cat litter in the fridge with the fridge turned off can help absorb and eliminate those musty smells once and for all. Most people use baking soda, but if you don’t have any on hand, cat litter makes a great alternative!